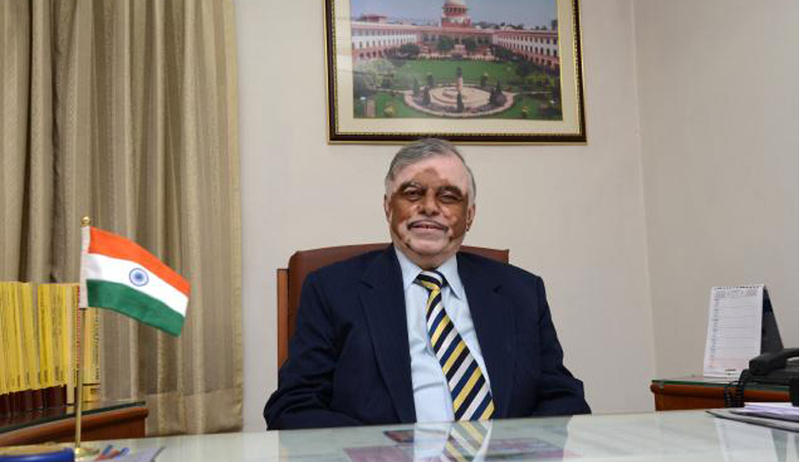 Chief Justice of India designate Justice P Sathasivam spoke to the media on various issues. Live Law brings you a summary of the views expressed by Justice Sathasivam. Judiciary is not untouched by corruption. The solution for eliminating this disorder majorly lies in the hands of litigants. The litigants must take the responsibility of bringing to light such occurrence by making grievance petition before the chief justice of the respective high courts and also to the Chief Justice of India. On receipt of such complaint, the chief justice must ascertain whether the complaint is frivolous or genuine. If a prima facie case is made out through the preliminary enquiry, then the chief justice has to adopt the prescribed procedure under the mandate of Constitution for further course of action (process for removal of the judge). The present collegium system works well. Even if certain deficiencies are there, the same can be eliminated by adhering to time schedules. It cannot be claimed that the government (state and central) has no role in the appointment of judges and the setting up of National Judicial Commission will not solve the problem. On the other hand, if the time schedule is strictly followed by all the authorities and more consultations with the persons concerned are held, the present system will solve the problem. Judiciary does not have the absolute power of appointing judges inasmuch as the executive is given the power to be exercised as a check, whenever necessary, to prevent an appointment, considered unsuitable, for reasons to be disclosed to the Chief Justice of India. This issue came up before the Full Court on seven occasions. It was also discussed twice in the All India Chief Justices Conference. On all these occasions, the Full Court of the Supreme Court and Chief Justices Conference did not favour the creation of regional Benches. Further, because of the development of Information Technology, computers, e-filing, online facilities, there is no difficulty in reaching the Supreme Court through these methods. With more awareness among our citizens about the various fresh legislations like Domestic Violence Act, Dowry Prohibition Act, Juvenile Justice Act, Right of Children to Free and Compulsory Education Act, 2009, Section 138 cases (under the Negotiable Instruments Act), more cases are being filed and more litigations are bound to come before Courts. Arrears can be brought down by creation of Special Courts for these offences. Filling up all posts of Judicial Officers and supporting staff and better utilisation of Alternate Dispute Resolution methods needs to be done. At the subordinate court level, at the High Court and Supreme Court levels, filling up of vacancies are to be done in a time bound manner. Inquiry commissions appointed by the governments should not be headed by retired judges as no one bothers about their reports, which are mostly put in dustbins or kept inside closed cupboards. So, normally, retired judges should avoid such assignments. There has to be some sort of reservation and representations for SCs, STs and OBCs. But at the same time the minimum standards which are already in vogue for appointment cannot be ignored. It does not mean that a person far junior or who lacks merit is selected. But they have to be given some concession. Appointing one from the Bar to the Supreme Court may be considered. The Supreme Court Bar Association President M N Krishnamani has requested that some senior lawyers may be considered for appointment as High Court Judges. This request also may be considered. A special legislation in this regard will certainly be a welcome effort, as it will help in generating additional protection to these victims. This is because though the prevailing penal law punishes the act of homicide, it does not directly punish the members gathering for such purpose. Personally speaking, endeavour would be to see that speedy justice is not justice buried. It is the unsaid obligation of every stakeholder to work towards ensuring prompt justice. By stakeholders, the obvious reference is to police, court officers, lawyers and judges. Only a collective effort from all stakeholders can deliver timely justice to aggrieved people. There are checks and balances and broad separation of powers under the Constitution. Each organ of the State, i.e. the legislature, the executive and the judiciary, must have respect for the others and not encroach into each other’s domain. Judges' socializing is not prohibited by ethics. However, each judge should know where to draw the line.